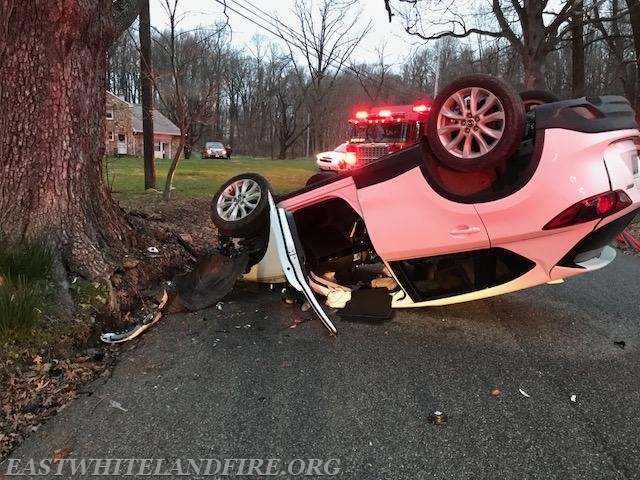 On Monday, April 9th at approximately 7:30pm, the company was dispatched to Rees Road and Howell Road in Charlestown Township for a motor vehicle accident. 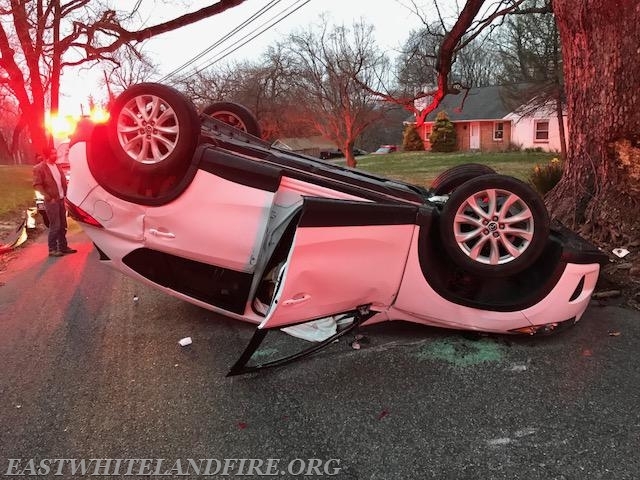 Upon arrival, units found a vehicle overturned with the sole occupant being the driver who was injured. The driver was transported to the Paoli Hospital by the Paoli Fire Company Ambulance. The Valley Forge Fire Company also provided assistance. East Whiteland Fire Company Fire Police closed the roadway and directed traffic for the duration of the incident.